Support can range from an organisation setting up deductions from staff salaries to a small group raising funds for COTA NT. 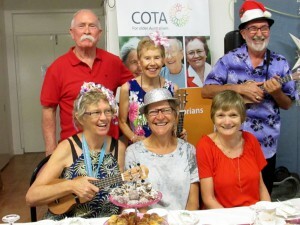 Our Musical Jam group is giving back to COTA by donating the proceeds of its gigs to the organisation. They have donated several hundred dollars to a ‘Backyard Renovation’ project, designed to give seniors an outdoor sitting area at Spillett House. Large or small, all beneficiary donations help us help seniors in the Northern Territory.